Calling all developers, creators and explorers – Magic Leap One Creator Edition is now available. Brace yourself because a universe of creative possibilities is expanding right in front of you. Join us on a mind-expanding journey into the outer reaches of human creativity. 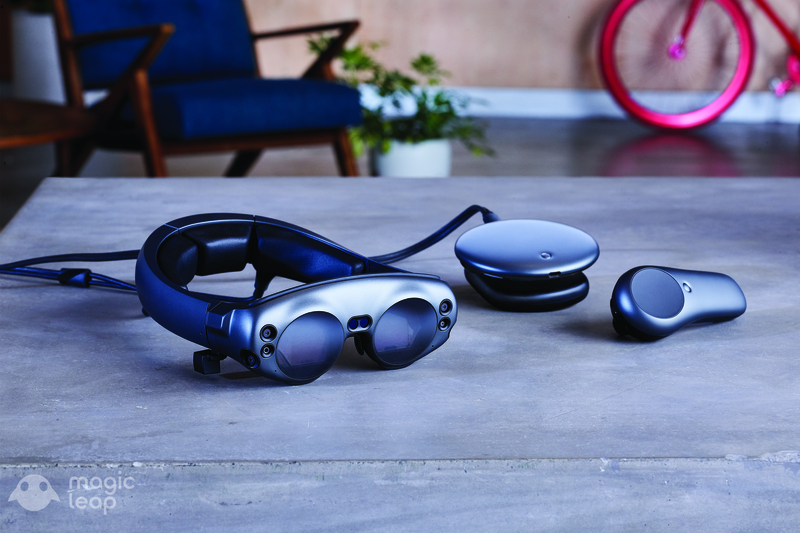 Magic Leap One Creator Edition is a spatial computing system that brings digital content to life here in the real world with us. Its unique design and technology lets in natural light waves together with softly layered synthetic lightfields, enabling creators to build unbelievably believable interactive experiences and create worlds within our world. And this is just the beginning. You’ll have access to all-new applications and experiences, including a set of core applications that make up the foundation of our spatial computing platform. These include the Helio web browser that delivers 3D and spatial web experiences, the Screens video platform that allows users to place multiple displays of any size in their physical space, and Magic Leap’s unique avatars and Social application, offering a spatially aware way to connect, collaborate and feel presence across distance, with connection services powered by Twilio. Then there’s LuminOS. It’s a whole new operating system. One that gets the most out of our spatial computing platform by working in tandem with the brain. We’re talking machine learning, middleware, an SDK and development tools. It’s optimized for performance with a high-fidelity visual experience to turn your wildest imaginings into even wilder realities. Magic Kit is a powerful ever-evolving toolkit containing sample code, tech write-ups and design diaries to help you fast track your training in spatial computing, create high quality mixed reality interactions and navigate your way through the Magicverse. Tónandi, a collaboration between Sigur Rós and Magic Leap Studios, which set out to discover and manifest the DNA of their signature sound in a new reality. The result of that collaboration is an interactive audio-visual exploration of the sounds and spirit of the band. Create, a playful sandbox mixed reality experience where anything’s possible. Turn your house into an undersea world and watch sea turtles and jellyfish glide past, or stage a fight between a knight and a T. Rex on your coffee table. Paint, draw, build, and create in ways never before possible in this magical application developed by Magic Leap Studios. Dr. Grordbort’s Invaders (coming soon), a hyper-realistic action game in which evil robots have chosen your living room to stage an invasion. Grab your ray gun and save the day in this larger-than-life, immersive video game from Magic Leap and Weta Workshop. Magic Leap One Creator Edition is available now starting at $2,295 USD and includes everything you need to start building. Inside the box you’ll find the Lightwear headset, Lightpack computing pack, Control handheld input device, a Fit Kit to ensure a perfectly calibrated fit, chargers, and a handy Quick Start Guide to get you up and running. You can also add an optional fabric strap for the Lightpack. Right now, limited quantities are available to developers in cities across the U.S., with complimentary delivery, fit and set-up service provided using our LiftOff service. If shipping is not yet available in your area, you’ll be able to make a reservation and be among the first to receive Magic Leap One Creator Edition when it comes to your city. So buckle up, for the future is fast approaching. Get a jump on developing for spatial computing by signing up for the Magic Leap Creator Portal and purchasing Magic Leap One Creator Edition today. It’s full of resources to help you forge this new frontier, like SDKs, Unity and Unreal Engine 4 support, learning resources, tutorials and a forum.